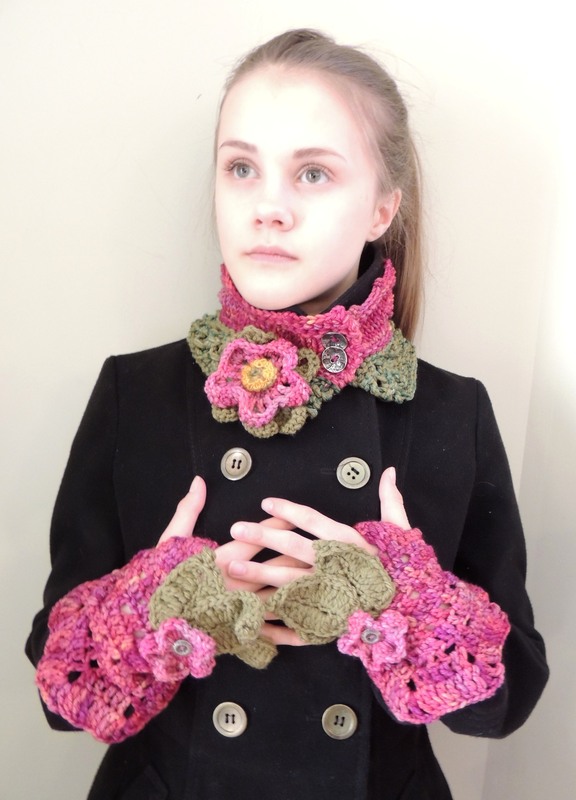 In the Pink…newest knits added to my designs. One of the colours I noticed somewhat missing from my designs is pink. It is not a colour I wear often and perhaps that is why, but after making several designs in different strengths of pink I have realized that I must add this beautiful colour to my wardrobe. Pink can be so soft and gentle or striking and bold. You can wear the tone you feel that day and want to project to others around you. I love these two different hand painted yarns I used on the base of the different scarves. Both have a completely different effect and character. 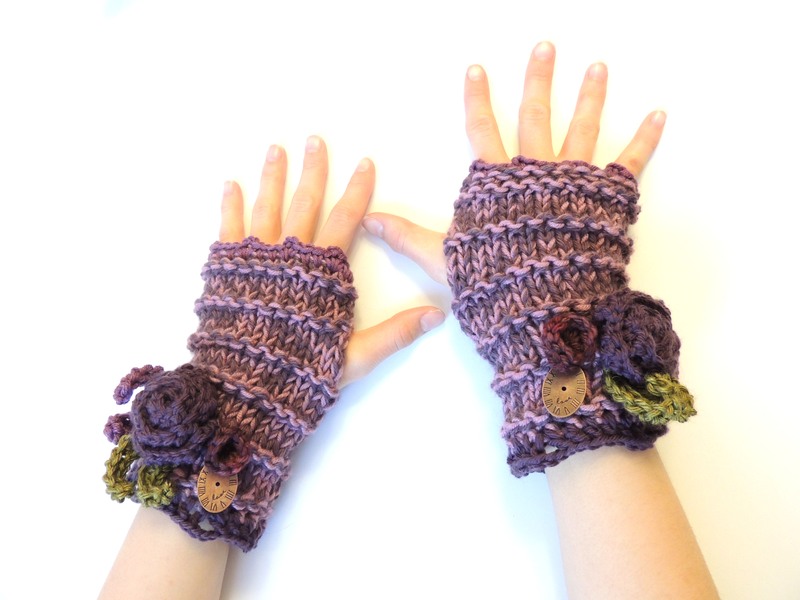 The hand warmers are both designs I have previously designed, but in different colours and colour techniques making the design new again. I love reworking a design be it different yarns or colour ways to see how I can improve or change the look. Some designs give birth to new designs with inspiration abounding from the vary stitches of each piece. As you see with my Rose collections, it just keeps getting bigger as I become inspired by the previous piece I designed. Roses happen to be my favourite flower which could be part of my inspiration as well. Off to be inspired by Christmas and my crocheted garland. I have started working on it this week and of course I am using hand painted yarns for at least some of the garland. I love being inspired by nature and all it’s wonderful gifts it gives us everyday. Must run and get back to my garland…I love Christmas!! Have a fabulous day!! Gorgeous work, as always! 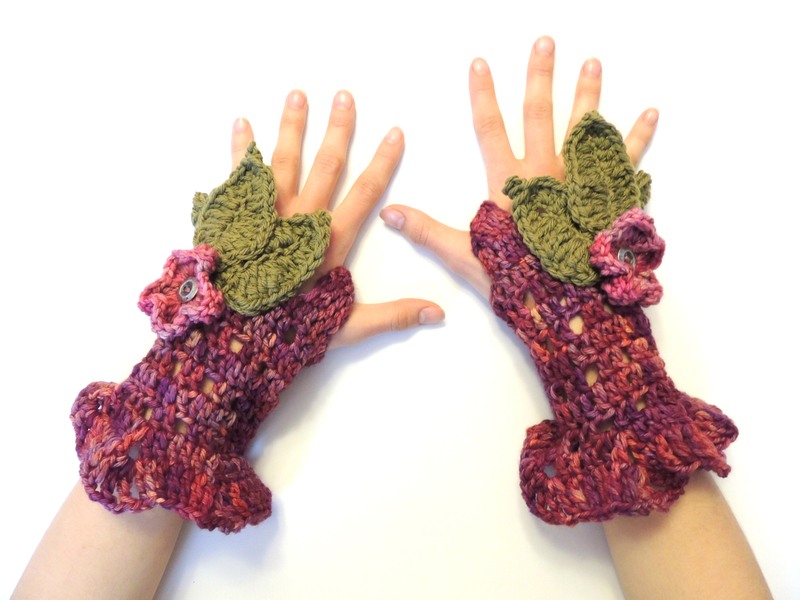 And on these cold days, those hand-warmers are looking good to wear indoors! Thanks you are so kind! 🙂 I wear mine while I work. Keeps my hand warm and toasty and I can knit and crochet even more.